If you make an online booking from our website, this is done via the online reservation system of the company Hotelnetsolutions GmbH, whose provider is our contractual partner. All data you enter will always be encrypted. HotelNetSolutions GmbH, Genthiner Str. 8, 10785 Berlin, Tel. 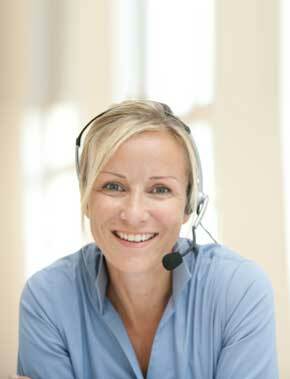 +49 (0) 30 - 770 193 000, Fax +49 (0) 30 - 770 193 050, E-Mail: info@hotelnetsolutions.de, Internet: www. hotelnetsolutions.de. Our contractual partner has committed himself to the privacy-compliant handling of your transmitted data. He takes all organizational and technical measures to protect your data. If you buy a gift voucher from our website, this is done via the voucher system of the company Hotelnetsolutions GmbH, whose provider is our contractual partner. All data you enter will always be encrypted. HotelNetSolutions GmbH, Genthiner Str. 8, 10785 Berlin, Tel. +49 (0) 30 - 770 193 000, Fax +49 (0) 30 - 770 193 050, E-Mail: info@hotelnetsolutions.de, Internet: www. hotelnetsolutions.de. Our contractual partner has committed himself to the privacy-compliant handling of your transmitted data. He takes all organizational and technical measures to protect your data. Other data are collected automatically by our IT systems when you visit the website. These data are primarily technical data such as the browser and operating system you are using or when you accessed the page. These data are collected automatically as soon as you enter our website.el. +49 (0) 30 - 770 193 000, Fax +49 (0) 30 - 770 193 050, E-Mail: info@hotelnetsolutions.de, Internet: www. hotelnetsolutions.de. Our contractual partner has committed himself to the privacy-compliant handling of your transmitted data. He takes all organizational and technical measures to protect your data. Google records information about your +1 activities to improve Google services for you and others. To use the Google + button, you need a globally visible, public Google profile that must contain at least the name chosen for the profile. This name is used by all Google services. In some cases, this name may also replace a different name that you have used to share content via your Google account. The identity of your Google profile can be shown to users who know your email address or other information that can identify you. Use of collected data: In addition to the uses mentioned above, the information you provide is used in accordance with the applicable Google data protection policies. Google may publish summary statistics about users' +1 activity or share it with users and partners, such as publishers, advertisers, or affiliate websites. This website uses Google AdWords. AdWords is an online advertising program from Google Inc., 1600 Amphitheater Parkway, Mountain View, CA 94043, United States ("Google"). As part of Google AdWords, we use so-called conversion tracking. When you click on an ad served by Google, a conversion tracking cookie is set. Cookies are small text files that your internet browser stores on your computer. These cookies expire after 30 days and are not used for personal identification of the user. Should the user visit certain pages of the website and the cookie has not yet expired, Google and the website can tell that the user clicked on the ad and proceeded to that page. 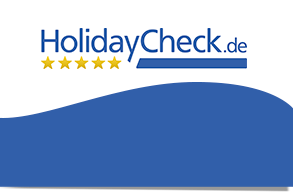 Our website uses for conversion measurement the visitor action pixel of myhotelshop GmbH, Bosestrasse 4, 04109 Leipzig, Phone: +49 (0) 341/392 816 751, Fax: +49 (0) 341/392 816 759. So the behavior of the Track page visitors after they have been redirected to the provider's website by clicking on a metasearch engine ad. As a result, the effectiveness of the advertisements can be evaluated for statistical and market research purposes and future advertising measures can be optimized.